A fantastic tale of rags to riches this novel will swoop you away in a story of romance and friendship. I zipped through this book and was enchanted by the characters, as I have come to expect from T.A.Williams. Penny is a realistically drawn character for her profession- it’s not an easy life being an undiscovered artist and she’s just putting one step in front of the other until she’s “discovered” by Caroline when she rescues a baby on a train platform and ends up in the news. Caroline approaches her to play her employer’s double (for reasons unknown at first) which seems a bit peculiar but the perks are hard to turn down! Penny gradually makes some headway in her career and her financial situation as she plays the double more and more often. And then she gets to chance to go to Venice ….which upped the charm and romance factor considerably for me. I don’t want to give anything away so I shall restrain myself on the details. 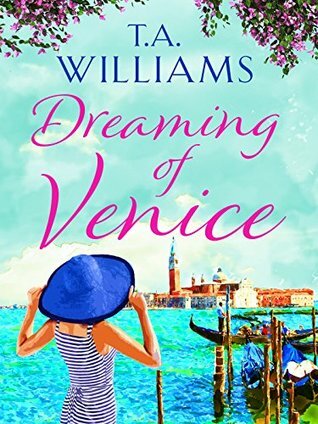 Typical of Williams, the characters are realistic and possess enough charisma to be engaging but aren’t bogged in so much “development” that the plot lags. He moves quickly and naturally through the action and his novels are humorous and heart-felt and always include a loveable dog. Thank you to Canelo for our review copy. All opinions are our own.